« VBAC Risk and Safety: In the Eye of the Beholder? Since the birth of her brother, my 2.5 yo has been wanting to be babied (big surprise). I tandem nurse her and wear her, as does my husband, as much as possible. The babywearing has offered a sweet closeness that I missed. 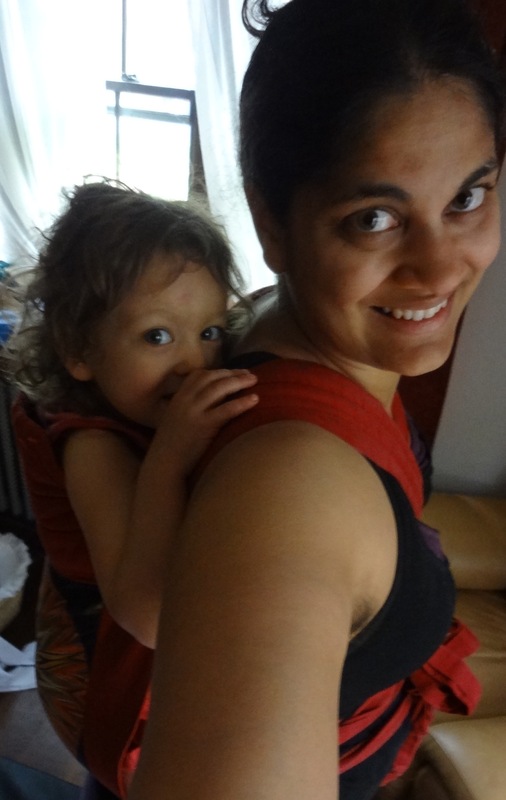 My babywearing journey has been full of unexpected twists and turns. Just as when my daughter was little, my BabyHawk and Kozy Carrier mei tais have been doing the trick for nursing baby and walking around. (She needed walking around to sleep, but my son is an easier sleeper it seems.) The mei tais are so quick and easy and adjustable for short carries. 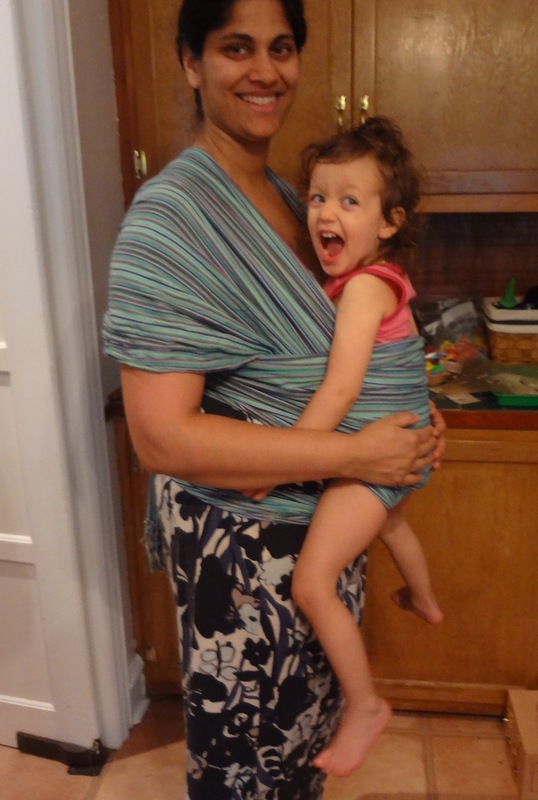 However, I stopped wearing her in them when she was bigger and could fit the ERGObaby. I did wear her up through my sixth month of pregnancy in my Boba. On a whim, I tied my Didymos woven wrap on and threw her in it. Without a diaper even. I was surprised how comfortable and easy it was. I am not yet skilled at tying wraps, so I think I could do better. (I also need help with ring slings, although I’m not a fan of one shoulder weight.) Still, it worked. The frame carrier was great when we took a train adventure just for family fun a few weeks ago. Daddy has the shoulders for this thing, but I find it comfortable, too. Recently, I thought I’d try her in one of my mei tais just to see because it’s so easy to put on (especially since I’m already wearing it a lot for baby). It was so awesome! I just swung the body around to the back and had her climb in. The back carry was super easy since she can understand getting in and can cooperate from her vantage point. I found the weight distribution with her on my back comfortable. I loved that it was easy to get her in and easy to get her out (which she wants sooner than she did as a baby). Plus, I don’t have to change carriers for my children. 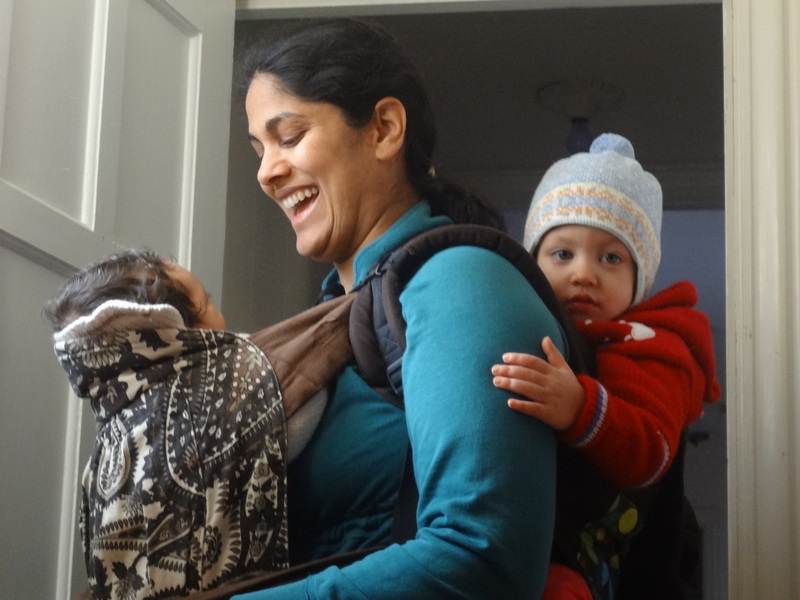 Same carriers, same diapers…a streamlined life! So, yes. I was completely surprised and excited to find that I have a full range of babywearing options back in effect with her. Wouldn’t have expected that with a toddler when most folks stop babywearing. It’s almost the most versatile stage, though, it would seem. Just goes to show you. To end, then, speaking of late stage babywearing, I’ll leave you with this post from a mama wearing her “baby” through to age 11 and beyond! Rock climbing adventure? No problem! An inspiring and uplifting must-read…. Wear your “babies” proud, mamas, papas, grandparents and all caregivers! Thank you so much for your post! I have two that are 22 months apart and am looking into tandem wearing. My only problem is narrowing down all the possibilities! Want to know about new posts without checking back?